McMahon once a Blue, always a Red - LFChistory - Stats galore for Liverpool FC! 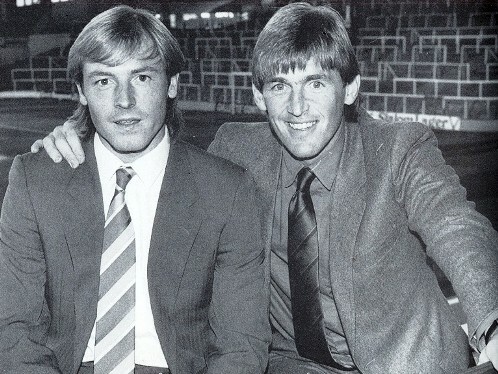 Steve McMahon turned down Liverpool for Aston Villa in May 1983, but when his second chance to sign for the Reds came two years later he took it to become Kenny Dalglish's first signing for Liverpool. "I suppose it's inevitable to wonder what might have happened if I had gone to Liverpool. They won three trophies last season while Villa had a difficult time. But you have to make the decision at the time, and I felt that going across Merseyside was the hardest move in football. In the same circumstances I would have made the same decision." McMahon had been at Everton for four years when he decided that moving straight from the Red to the Blue half of Liverpool proved too big an obstacle for him. There had been a great deal of press speculation that Liverpool would move in, and I was prepared to bide my time for that chance. When the opportunity arose to sign for Liverpool I took it and it was the best decision of my career." Copyright - LFChistory.net - Image not owned by LFChistory and we acknowledge its copyright.